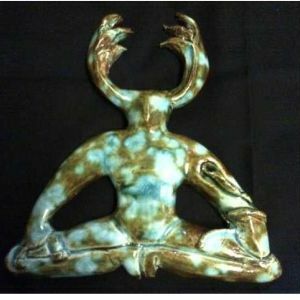 A wonderfully earthy depiction of the Horned God. 17cms (7") tall, He is depicted crossed legged, a torc in one hand, a serpent, held in the other, winds its way around his arm, completed with a lovely glazed finish. 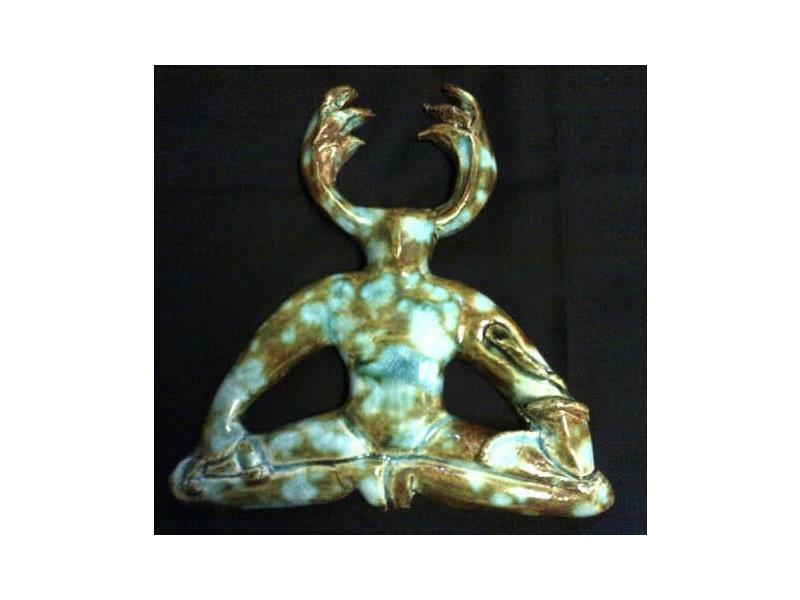 A perfect accompaniment for the Goddess Wall Plaque. (Colour may vary from that shown).